George is nicely rosetted with really nice color for his age. He has been a lap baby since he was old enough to crawl! 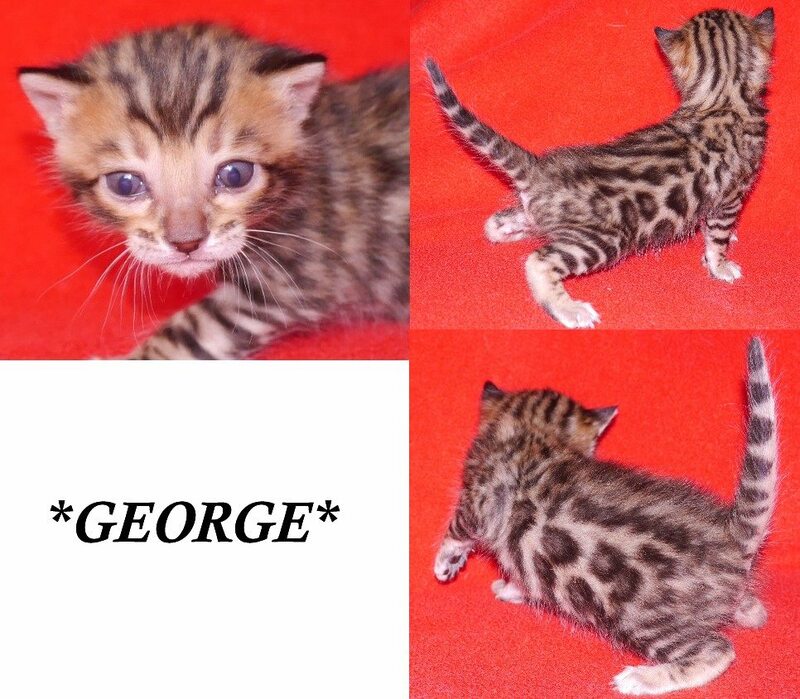 Pictured to the left at 4 weeks. 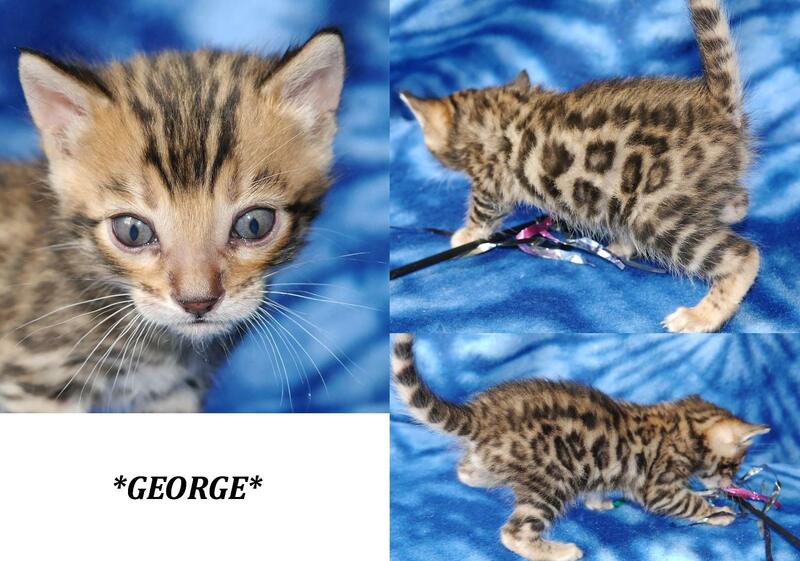 Here, George is pictured at 3 weeks. This entry was posted in Bengal Kitten Gallery and tagged Bengal kitten, brown rosetted. Bookmark the permalink.